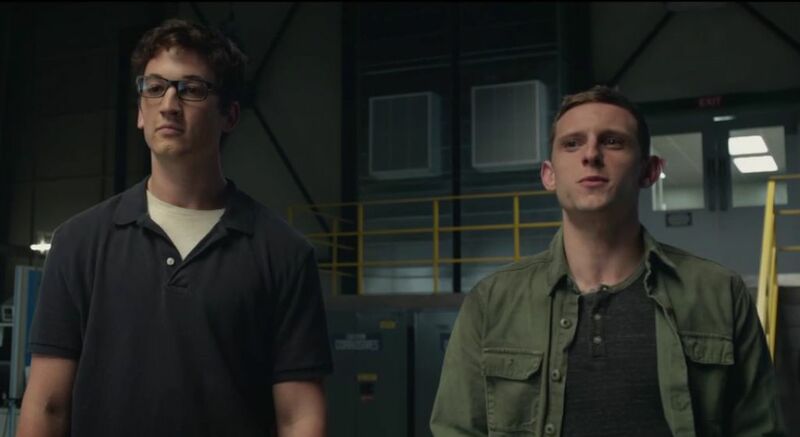 “1 Year Later” – 3 words that managed to ruin the Fantastic Four movie. Not that it was perfect up to that point but it certainly wasn’t the terrible, dull and very generic mess that it became after those three words appeared on-screen. Up to those three words, the movie was actually quite interesting. For starters, the cast was likeable enough. Miles Teller was a down-to-earth, not too nerdy, not too cocky, Reed Richards. His friendship with Jamie Bell’s Ben Grimm was believable and charming enough to keep you engaged. The different approaches to the dynamic for the Storm family worked too. Kate Mara was the intelligent, hard-nosed Sue Storm while Michael B Jordan was just arrogant and cocky enough to pull-off Johnny Storm without being really irritating. Round this off with an intense Victor Von Doom, played by the underrated Toby Kebbell and you had the making of a decent cast given decent roles to fill-out. The actual story progressed well and approached the origins of the Fantastic Team from a science point of view. The idea of visiting another dimension was a very good one and when that moment actually came, the effects, suspense and action in this set-piece were achieved well – offering some very cool origin story moments. In fact, the actual powers given to the fantastic foursome were realised well on-screen too. It wasn’t a playful, joyous discovery of their individual skills but instead a horrific, sometimes grotesque look at what the dimension visit had done to the heroes. Up to this point, I was on-board with the movie. I liked the direction the film was going. Then those three words appeared on-screen. It meant that we now have fully fledged superheroes. They aren’t exactly saving the world but they have control of their powers, suits designed to help them and in the case of Jamie Bell’s Thing – cool action sequences seen through a television screen. The movie had skipped the best part of any origin story – the discovery and then control of the powers. It had also skipped the first attempt to use the powers and any of the cool, early action sequences. Instead, the movie decided to jump straight into a group of reluctant heroes who only used their powers in training environments. It still looked impressive but would hardly excite anyone who had seen Age of Ultron this year – or even the original Fantastic Four movie to be honest. When the heroes do decide to use their powers, it is when the principle villain, Dr Doom, makes his appearance. This is actually a huge strength of the film; Doom looks brilliant and his actions set him up as a very credible, scary and decent villain for the team. It’s a shame then that when the finale does happen, it is a confusing, nonsensical mess that is over within ten minutes of actually beginning. It is also one of those magical sort of finale’s which solves all the problems the team had before, with the Government, each other and their powers. No character development, no complications or tension. Just a nice, easy package of an ending. I won’t say this about films very often but Fantastic Four needed to be about half an hour to even an hour longer. There is a good movie in there somewhere. It has a great cast, great effects and a very good villain. The story has some unique elements to it and there are story threads that so desperately need development. Thing’s acceptance of himself, his forgiveness of Reed Richards, Sue’s reluctance to use her powers against Johnny’s desire to use his. All of this could have been addressed in The Year that the movie so conveniently decided to gloss-over. Overall, Fantastic Four is a waste of a franchise that desperately needs to be done properly. The ingredients are there; from a great cast, great looking effects and a new way to present unusual powers. Unfortunately, what we are given is a promising first act, a very good second and then a rushed and nonsensical third. Just give the rights back to Marvel so they can do it properly. Just give the rights back to Marvel! Previous Previous post: Views from the Sofa is back!